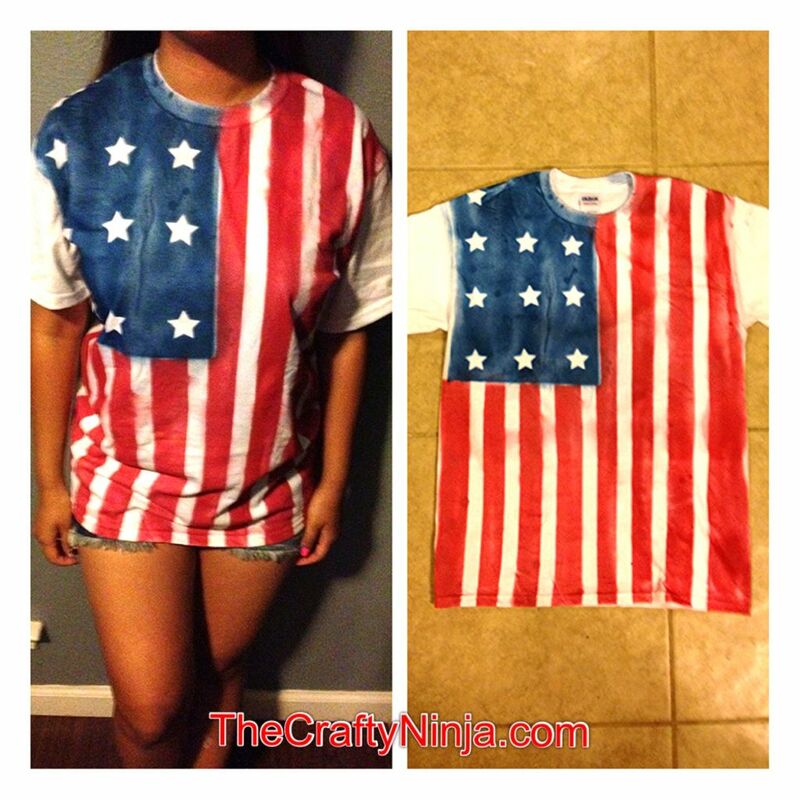 For the upcoming celebration of the United States independence I decided to do a tutorial on how to make a American flag t-shirt. 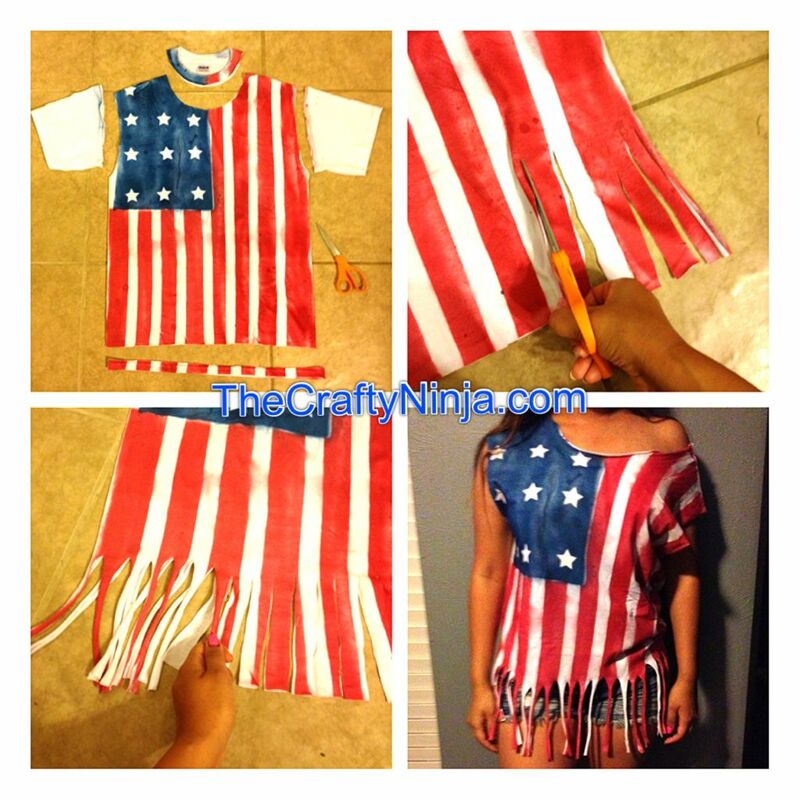 Now you can have a perfect cover up to celebrate the Fourth of July in style! Supplies needed: Blue and Red Spray Paint, Scotch Blue Painters Tape, Star stickers. Disposable Gloves, Eye Protector, Cardboard, and White T-shirt. 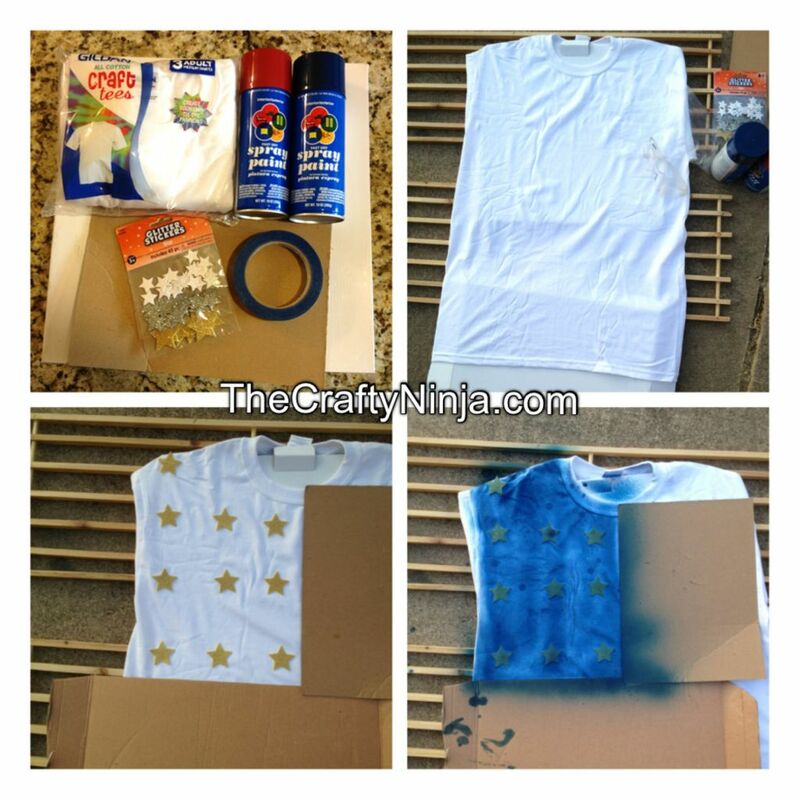 First put a rectangular piece of cardboard inside your shirt so that the spray paint will not bleed to the other side. Next with two pieces of cardboard lay out which areas are going to be blue. Add stars inside the rectangle, I lined mine up straight. I wore protective gloves and eye protector. Using the Blue spray paint, be sure to read the instructions, I sprayed outside in a well ventilated area. Now add Scotch Blue Painters Tape vertically down the t-shirt, I didn’t do 13 stripes but instead however many could fit. 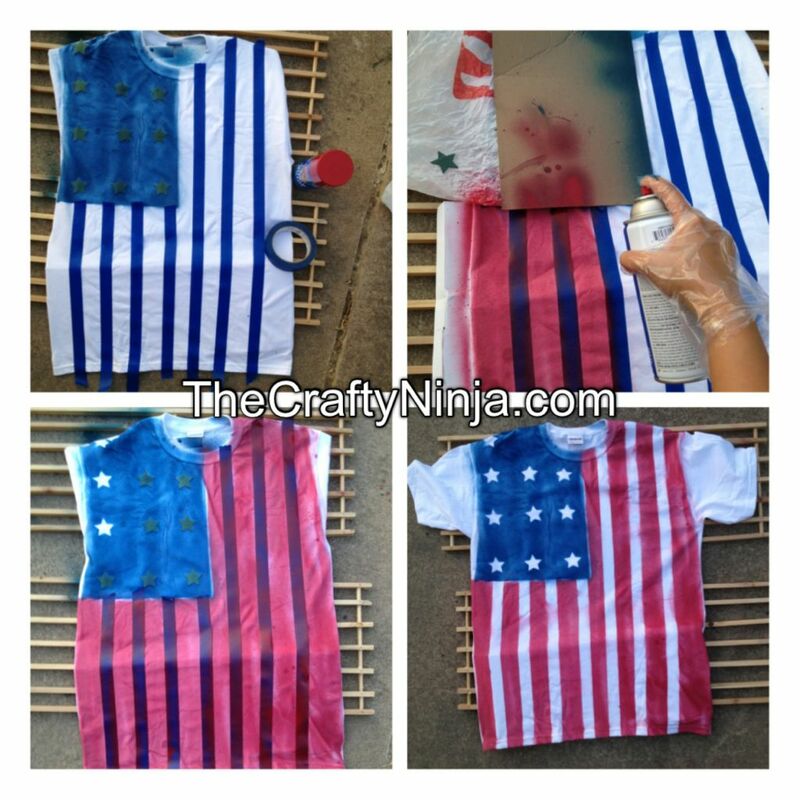 Cover the blue area with card board and spray the stripes with Red spray paint. Once done pull of the star stickers and tape. Let dry for about a day. I took it a step further to create a fun and festive top. 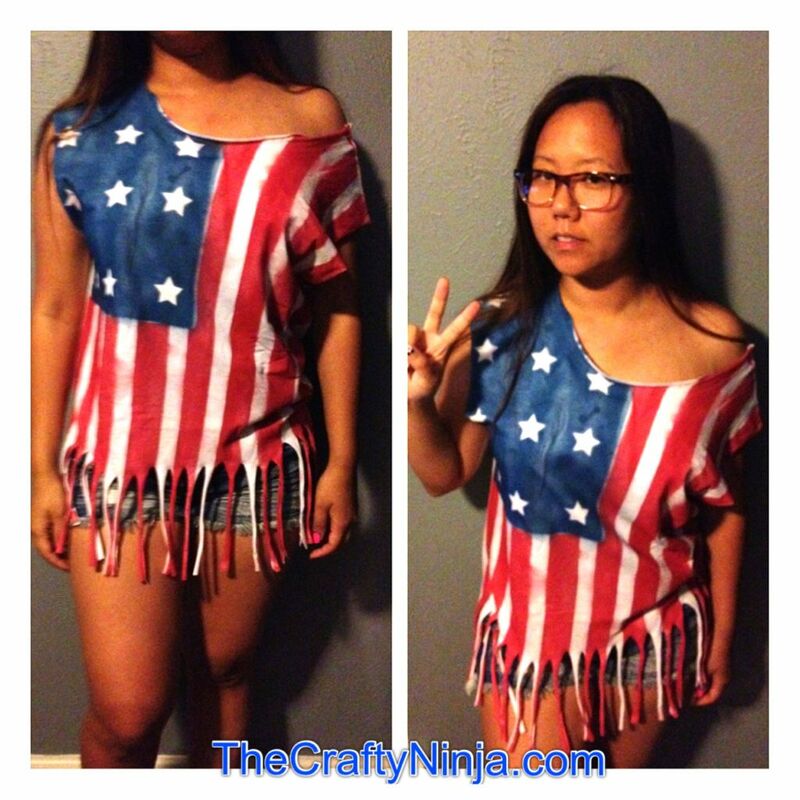 Here are the instructions on how to create this Fringe shirt. To create the fringe shirt I cut off the neck, arms, and bottom. From the bottom cut up 5 inches, each stripe half an inch apart. Next pull the stripes to curl the fabric ends. Finish off by pulling the neck and arms to also curl the ends. To wash turn inside out and wash in cold water. You could also cut more off at the bottom to create a t-shirt that revels more of your stomach, but I kept mine more modest.